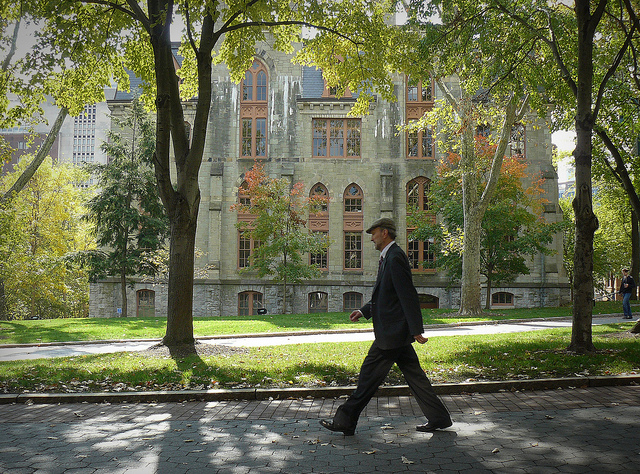 Welcome to the Department of History and Sociology of Science, with forty-plus years history of accomplishment at the University of Pennsylvania. Our faculty uses the tools of the humanities and social sciences to study science, technology, medicine, and the environment. Through a broad range of scholarly projects, faculty research examines relations between the technical practice of scientists, engineers, medical researchers, and clinicians, and the material, social, political and cultural context in which those practices occur. Our long-running Monday Workshop provides a forum for the newest work of scholars in our disciplines. Interdisciplinary study, faculty-student interaction, and individual mentoring characterize both the graduate and undergraduate programs. Our graduate program thrives due to current graduate students and also a distinguished group of alumni who are leading scholars and professionals. Recent graduates enjoy success in the job market. The Department's interdisciplinary commitment continues through two undergraduate majors: Science, Technology and Society (STSC) and Health and Societies (HSOC). Our students also enjoy the talents and research of associated faculty from across the university. Alumni in a wide array of positions and institutions provide a supportive network for undergraduates. The Department of History and Sociology of Science dates from 1962, when the University created a new program of graduate studies, “designed to further the systematic investigation of the history, the customs and social institutions, and the methodologies of science and technology.” First called “History and Philosophy of Science,” it combined faculty from the disciplines of history, philosophy, anthropology, sociology, chemistry, physics, biology, engineering, English, and American civilization. Loren Eiseley (1907-1977), long-time University of Pennsylvania Museum anthropologist, essayist, and poet, and Provost from 1959-1961, was one of the first faculty members in the new program. In 1970, it became the Department of History and Sociology of Science, with its own core faculty in addition to associated faculty from many departments. Graduates from over forty-five years of the HSS doctoral program are found at research universities, research institutes, museums, and in the business world.